We won’t really know how level each of these configurations is until we have sailed a few regattas in a variety of conditions, but in an attempt to keep them evenly matched, the rules have laid out a number of requirements to satisfy each configuration. The table below attempts to illustrate more simply what you can and cannot do under each configuration and additionally compares these to what many are gravitating towards as an optimal IRC configuration (but note that we have not at this point allowed the use of cascade backstays in one design class events). 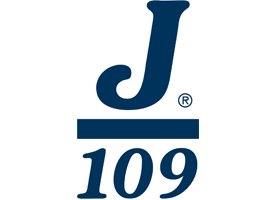 There will not be a separate J/109 class for the Warsash Spring Championships, so we will be racing in IRC 2. That means that each boat competing will need to have a valid IRC rating and be configured in the manner for which it has been rated. Boats will receive a corrected time and a position within IRC 2. However, WSC will also be publishing extracted J/109 results with no time correction factor applied (level rating results). To be eligible for these results, each boat must make sure that it complies with either rule 5.4.1 or rule 5.4.3 as outlined above. Each boat must therefore make sure that its selection of which configuration to use corresponds to their IRC rating. Simply put, if you are racing with a handicap of around 1.015 or lower, you are probably rated for non-overlapping headsails, so you should not be using overlapping sails and should conform to the requirements of rule 5.4.1 as outlined above. We currently have 5 entries for the Spring Championships: Jago; Jengu; Jiraffe; Jukebox and Jumping Jellyfish. They are expected to be joined on the Sundays by the other entrants in the Spring Series: Jubilee, Jybe Talkin’, Mojo Risin’ and Red Arrow. There’s still time for others to join. Do get in touch if you have any questions on the application of the new class rules for this event.